How to get the students in shape, stay fit, and have fun? Madonna University has an answer… jogging! Every Monday morning for girls and Tuesday for boys! At 7am, around 5000 students must go out from the hostels and prepare for a 1.0 kilometer run affair. It’s a jogging time! Jogging keeps students always in shape; thus, promotes healthy life, and improves study concentration. It also keeps students stay fit; burning excess fat and enhancing the immune system. It is fun, and promotes camaraderie, as well. Now, join our jogging, please! exercise enhances the student’s mental well-being along with their physical health. In fact, numerous studies indicate that a student’s achievement and physical fitness are positively related. It also helps to boost self-esteem, relieve depression, and improve concentration. That’s the way the students should be! kg students running at 9 km/h (5.5 mph), approximately 880 calories are burned per hour. But for some of the students who joined jogging with thousands of their classmates are for fun. After a few minutes of important announcement the game started by stretching exercises evidently to loosen their muscles prior jogging properly. Then the students, with a loud voice chanting jogging along the 1.0 km circuitous paths in an oval university playground, offered the visitors a thousand smiling faces; and laughter could be heard along the way. It promotes camaraderie and friendship. Today, jogging is established as both a recreational pursuit and a training tool; it is practiced by boxers and martial artists and similar sports minded individuals to get in shape, stay fit, and have fun. Manny Pacquiao, a Filipino professional boxer, the first and only eight-division world champion, in which he has won ten world titles, as well as the first to win the lineal championship in four different weight classes, used to jog everyday in a high altitude mountain in Baguio City, Philippines months before the fights. 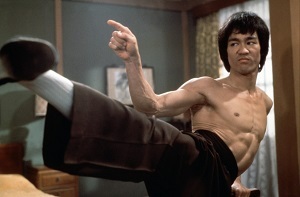 Martial artists Bruce Lee preferred to run every day, rain or shine to maintain his fighting form. He used to run at Big Bear Lake because of the altitude– it makes it an ideal location to train for any event. Running at high altitudes is one secret to building endurance for any fight. For the students, jogging, as a physical education course, forms part of their curriculum. But the benefits are keeping the students in shape, stay fit, and have fun. Since physical exercise such as jogging and spiritual health are both important, one need to strike a healthy balance. 1 Timothy 4:8 puts it,” For physical training is of some value, but godliness has value for all affairs, holding promise for both the present life and the life to come”. So, it is clear that jogging is not only for students. God wants all people from all walks of life to have physical exercise to become physically and spiritually fit. So, join our jogging, please! Why Workbook in Math is Important? Although usually smaller and lighter than textbooks, workbooks serve as an extension in classroom lecture on large class size, determine the quality of teaching and learning topics, and facilitate homework. Math courses with a class size of hundreds of students, which teachers have difficulty to facilitate a good interaction with the students, workbooks effectively filled the inadequacy. Workbooks, being a condensed course outlines from a standard textbook, serve as a teachers’ roadmap in classroom discussion and guide for the students on what topics to follow next. Further, workbook facilitates homework for the students to study at home and allow the teachers to monitor their progress. Unlike in most colleges and universities in western and eastern part of the globe, some African schools allow having larger class sizes. Here, schools allowed 200 to 1500 student class size for the general math courses in 100 levels. For engineering, mathematics 200 and up levels, schools usually have 200-500 students per class. Even with the aid of modern available equipments such as power points or slides and sound devices, a number of students which must listen and do some interaction during discussion already pose a problem. Some failed to catch up the lesson discussed on the presented slides or materials written on the board and others may not hear properly the discussion or explanation. 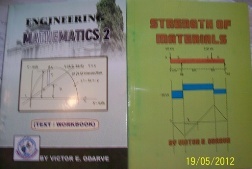 With all these problems, workbook seems to fill up by reviewing and reworking exercises at home. Students who were less fortunate to grasp the discussion must look on the workbook and copy notes from their classmates. A scenario common in big African universities! Most workbook topics are presented chronologically since math is cumulative. It is written in a clear, precise, and easy to understand as compared to textbooks. Each lesson carefully builds on the concepts students learned previously, with the problems and illustrations discussed steps by steps. Thus, this book guides the students on how the course discussion is pacing. The workbook serves as a road map for the teacher and a helpful aid for substitute teachers. Further, it provides information on the quality of teaching materials that lecturers or teachers must inculcate in the minds of the students, Students, too, would notice what is expected to learn for this semester in Math course. As this book is also specifically designed for student’s activity at home, workbooks are usually filled with illustrative examples from simple to complex problems presented in clear, step by step manner. Practice problems, which usually followed after the completion of each topic, can be worked out and the answers can be written directly in the book. Often times these practice problems are taken as assignments or homeworks where teachers can follow up at classrooms. Workbooks allow students to compare their solution steps from the classroom lectures; use as reference when they got stuck on the topic discussed; and offer an opportunity for easy learning outside the classroom at the own pace. 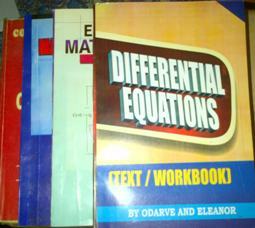 The homework activities motivate and challenge students; thus math becomes useful and enjoyable…never a dull and boring! The workbook is a haven for gifted students where they can enjoy the challenge of solving the difficult math exercises and problems on their own. What, then if the teacher is the one who wrote the workbook? The results are simply amazing as workbook and teacher are helping the students in unison! The workbook they are using is the language of his mind…a best picture and the most effective means of transfer of knowledge. Everybody can expect the best results; maximizing the best potential for the good of the students. Workbook and teacher are one! Thus, workbook is necessary in math! Every day, we read and see in newspapers, televisions, and tabloids highlighting corruption. Main culprits; dummies and bribes! These are, indeed, instruments to hide hidden wealth and elude authorities for investigation especially taxation. Dummies and bribes are really gates to corruption. Dummies are persons or organizations serving as a front for another while pretending to be independent. On the other hand, bribes are to give somebody money or some other incentive to do something, especially something illegal or dishonest. With a masterful stroke from the government investigators for hidden wealth from among our politicians and public officials, these dummies and bribes are actually the gates of corruptions. Dummies, like wormholes, are done in stealth manner that detection to get a clue requires expertise. Politicians and other wealthy personalities, while amassing wealth due to the position in government offices, used “dummies” to corner government contracts and conceal the assets acquired while still in government office. 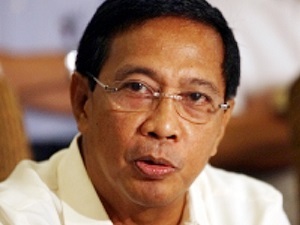 Such was the case of VP Jejomar Binay who allegedly earned something on the graft-ridden P2. 3-billion Makati parking building. Investigation pointed out that a company that won contracts is a front. He is also believed to be the owner of 350 hectares Batangas property fronted by a businessman Tiu. VP Binay who was a poor human rights lawyer during the dark days of martial law is now very rich, as reflected in his own declaration in his statement of assets, liabilities and net worth. With no family business, incomes come mainly derived from the salary as public servants. This makes it difficult to explain how he amassed his wealth. 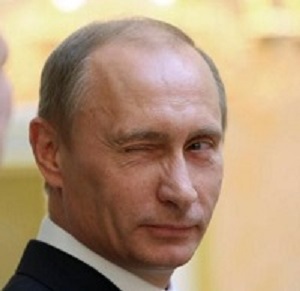 Russian President Putin. Russia is one of the world’s most corrupt countries. Like dummies, bribes which often develop from personal connections also lead to corruption. Such connections are important in getting things done within the public sector, and a majority of bribes going toward speeding up a service. It is a form of corruption! Receiving a big discount on their own purchases and receiving gifts or millions of dollars in the form of donations are also indirect bribery. Accepting such lucrative offers while in position meant to create an obligation on behalf of the public official to provide some benefit in return at some point in time. Diversion of the public fund to ghost projects also results to kickbacks or bribes. That was what happened to Ji Jianye, the mayor of Nanjing, a major city in eastern China, was arrested on suspicion of accepting bribes worth about 20 million yuan ($3.3 million). Mohamed Suharto, too, President of Indonesia from 1967-98, allegedly embezzled $ 15 billion to $35 billion according to Transparency International report 2004. One would recognize bribery easily, but many a time bribery makes its debut under the cloak of gifts. Anti-corruption nonprofit Transparency International has released its 2013 Global Corruption Barometer, showed that for countries with more than 100 million populations, Mexico, Nigeria and Russia were considered as the world’s most corrupt nations. Residents reported corruptions in the public sector are very serious problems. Transparency groups blamed politicians for encouraging corruptions; corrupt political parties; and companies underreporting the value of the resources they extract and the tax incurred amounting to billions of dollars. Corrupt practices may affect the reputation and further erode the people’s trust in the government officials. Parents must have an active role in raising children to instill honesty; schools must share the value of moral ascendancy; government officials must engage in soul searching and examine their conscience and purify their culture. It has been said that in these corrupt countries, every single law enacted by lawmakers presents an opportunity for someone to make money, directly or indirectly. Much more, corrupt people are proven smarter than government regulations, but dummies and bribes are always the components of corruption.